For many South Africans, travelling to exotic international destinations is the highlight of a lifetime. However, an accident or illness could ruin the experience. If you're not covered for medical emergencies overseas, your trip could also prove disastrously expensive. We consider whether and how South African medical aids cover international medical expenses, and how you can mitigate the financial risks when travelling outside South Africa's borders. Most open medical aid schemes in South Africa do offer limited cover to members travelling outside the country. Schemes generally outsource the international component to travel partners, such as ER24 and Europ Assistance. Principal members and beneficiaries are covered for up to 90 days from the date of departure. Benefits apply to medical emergencies, and are limited to between R5 million and R10 million per trip. Cover can extend to an emergency medical evacuation or repatriation. It's important to note that international travel cover is often excluded from low cost entry level plans. Members of the Discovery Health KeyCare Series and the BonCap option by Bonitas, for instance, are not covered, and will have to make alternative arrangements. Tip #1: Before you set off, find out if your medical aid plan has international travel benefits. 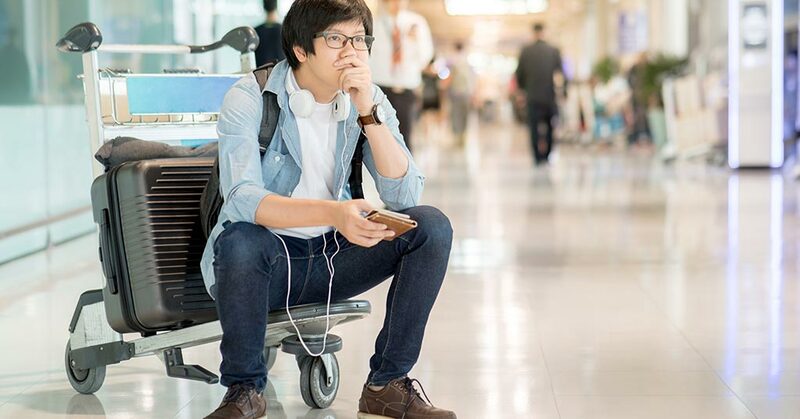 Tip #2: If you're an adrenalin junkie, consider topping up your international travel benefits with a policy that specifically includes cover for hazardous sports, such as Sanlam's Go Cover app. If a medical emergency requires surgery, expensive procedures and/or an extended stay in hospital, you'll need to obtain authorisation and a payment guarantee from your medical aid's travel partner. Payment is then made directly to the healthcare service providers. In less expensive scenarios, you'll usually be expected to pay the costs from your own pocket, and claim the money back from your medical aid on your return to South Africa. A nominal co-payment may apply for treatment conducted out of hospital. Tip #3: You can expedite the claims process by submitting the original account detailing the expenses, along with proof of payment, and a copy of the entry and exit stamps in your passport. Let's compare international travel benefits offered by top medical aid schemes in South Africa. In partnership with Europ Assistance, Momentum Health offers international travel benefits on all its plans. Cover is limited to R5 million per beneficiary, and benefits include emergency transportation, evacuation and repatriation. A co-payment of R1 300 applies to all emergency claims, and members and dependents are covered for 90 days. Authorisation is required for expenses of more than R5 000. Bonitas uses ER24 as its international travel partner. All members, with the exception of BonCap subscribers, are eligible for medical emergency cover in and out of hospital. Cover extends for 90 days, and is limited to R5 million and R10 million per beneficiary and per family per trip, respectively. There's an emergency optical and dental benefit and cover for mandatory travel vaccinations, travel assist services, and emergency transportation and evacuation. Discovery Health's international travel benefit covers emergency medical costs, up to R10 million per person per journey, for up to 90 days. Benefits do not apply to members of the KeyCare Series. The largest medical scheme in South Africa uses ER24 as its international travel partner. In addition to the international travel benefit, Discovery Health offers emergency medical evacuations from specified sub-Saharan countries via the Africa benefit. Tip #4: Are you a frequent traveller? Consider switching to a medical aid scheme with favourable international travel benefits. Whether your medical aid option offers international travel benefits or not, it's a good idea to optimise your cover. In some cases – like when you pay for your air ticket with your credit card – you'll automatically get free travel insurance. If you'll be travelling for more than 90 days, or are planning to scuba dive, paraglide, ski, summit a mountain peak or visit potentially dangerous areas, it's best to purchase comprehensive travel insurance as a separate product. This also means you'll enjoy benefits that aren't available from your medical aid, such as cover for lost baggage, stolen goods and cancelled flights. Tip #5: If you're planning an extended trip abroad, maximise your cover with international travel insurance.